Pine nut, not a "nut" but a "seed"
The pine nut is really a seed in a hard shell, lodged between the scales of certain pines such as the “umbrella pine”. Since it is small in size and also difficult to extract, it is quite costly. Romans and Greeks believed pine nuts to be an aphrodisiac and recommended eating them with honey and almonds at bedtime for better results. They are actually a good source of vegetable protein and contain minerals, good fats and phytosterols, which are compounds that are potentially beneficial for the heart. 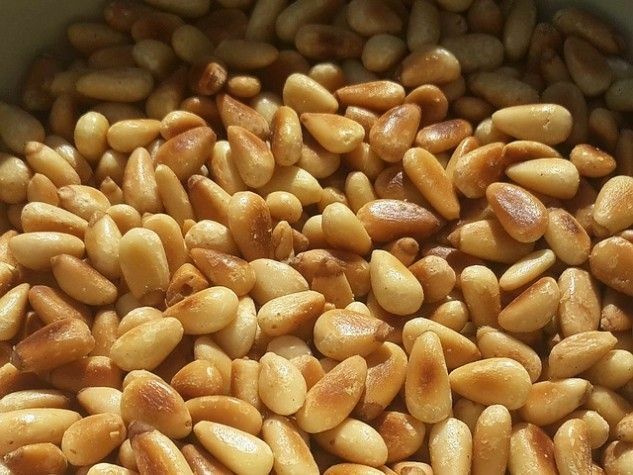 Ivory-coloured and oblong in shape, pine nuts have a sweet flavour, a bit like almonds. They go well with everything: vegetables, fruit, cheese, fish, meat, pasta, etc. They are the prime ingredient, along with basil, for making delicious pesto. Originally published in the Journal de Montréal on September 27, 2014.